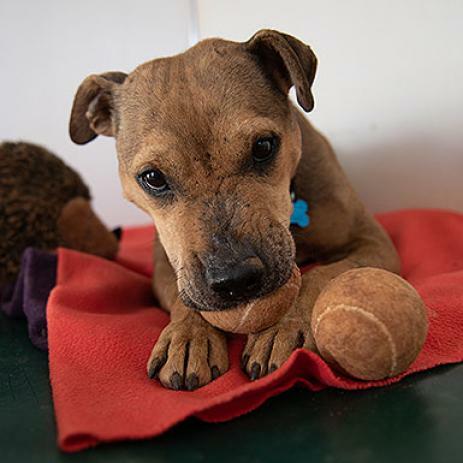 Dingo loves toys and can be playful, yet he also has a very gentle and calm nature. With people, he is affectionate and easy-going. He also walks very nicely on a leash. Dingo was born in 2013 and came to Best Friends from a rescue organization in Florida. At the Sanctuary, he is working on crate training and basic training cues. Due to an old injury, he currently takes prescription medication for pain. Because Dingo has shown aggression toward other dogs in the past, he cannot live with them and must be the only dog in a home. 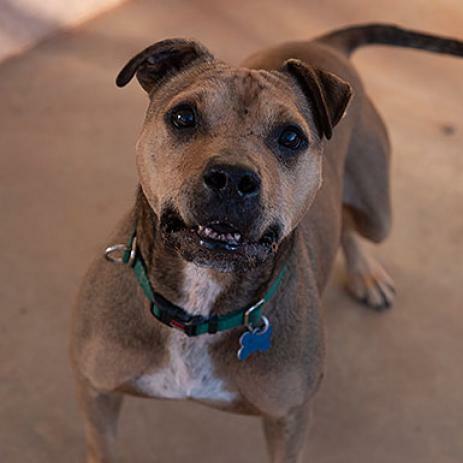 If you're looking for a calm, quiet dog to be your one and only, Dingo would love to meet you.